Traumatic brain injury (TBI) is very prevalent and is associated with significant morbidity and mortality. Even mild TBI, also known as concussion, can have long-term sequelae. 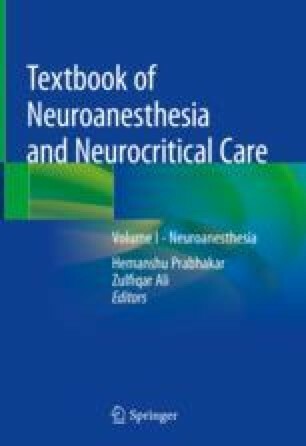 Anesthesia providers will often be faced with the management of these patients, and the primary goals of care are patient resuscitation and avoidance of secondary neurologic injury. The 2016 Brain Trauma Foundation guidelines for the management of severe traumatic brain injury represent an effort to improve outcomes in this patient population through the implementation of evidence-based practices and standardized care encompassing multiple aspects of treatment, monitoring, and hemodynamic thresholds. The perioperative period is a critical time for optimizing outcomes and decreasing mortality in TBI patients. Anesthesia providers play a vital role in the care of this vulnerable population.